Bandra Bandstand is a kilometer long walkway along the sea on the west side of Bandra, a suburb of Mumbai, India. 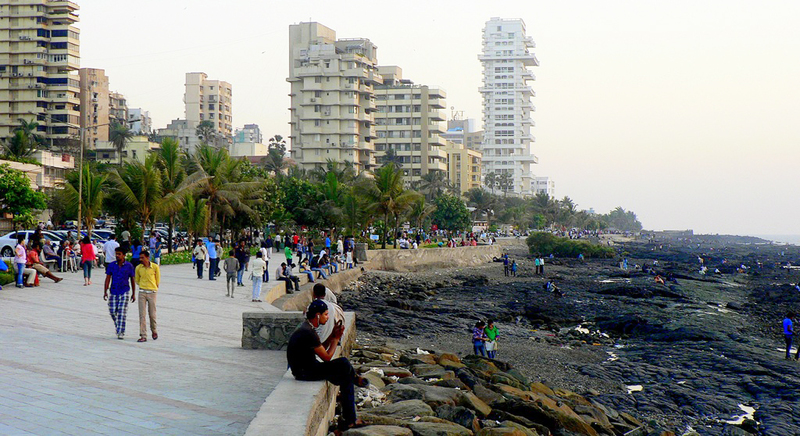 Less than a decade old, it is simultaneously a popular hangout spot, a jogging track, a park and also a lovers point. Bandstand is a blessing for couples who are always horny and wish to be cosy .It is also one of the most famous lovers point of Mumbai. The seafacing fort here creates a seriously romantic atmosphere which attracts many couples here.